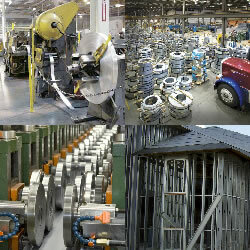 ClarkDietrich Building Systems is the largest manufacturer of steel framing & accessories in the United States. ClarkDietrich delivers a full line of drywall studs and accessories, structural studs and joists, metal lath and accessories, and shaftwall studs and track. ClarkDietrich uses the latest computer technology in roll forming equipment and automated packaging lines, plus state-of-the-art inventory control from master coil to finished product.